There’s a certain point in everyone’s experience when they suddenly realise that they’re old – where did the time go, they wonder? Often there’s one trigger that hits you like a thunderbolt and stops you in your tracks. You might accidentally say something your gran used to say when you were young, look at a pair of orthopaedic shoes and think they look incredible, or start sighing whenever you sit down. It’s really taxing to always be right, but that does tend to be the case as you get older. Whether it’s your increased wisdom or your increased stubbornness, you just tend to win all of the arguments. Your friends might complain, but they don’t really have a leg to stand on in the face of your well-constructed, persuasive opinions. There comes a time in everyone’s life when they decide that the high heels and skinny jeans are no longer for them and it’s time to invest in sensible cardigans and slippers. That doesn’t mean you can’t still look stylish (in a non-Hugh Hefner way), but there’s no reason you shouldn’t be comfortable, at least while you’re at home. Starburst is a terrible name – Opal Fruits reminds us comfortingly of the Seventies and Eighties. It’d be alright to change the name if they changed the sweets, but they’re exactly the same, just with a blander name. The Starburst brand might dazzle the kids, but to us it just screams “unnecessary change” in our faces. Look, have you seen the cafes? They’re worth the membership fee by themselves. But the miles and miles of exquisite British countryside help as well. Just make sure you don’t get lost! Well, you may not actively hate the popular things, but you don’t have a clue what’s happening whenever somebody mentions 5 Seconds Of Summer or Selena Gomez. It’s not your fault – at some point, you just have to stop paying attention to things like this. It just depends how early you do so. An oldie but a goodie. That’s when you know you’re really getting old. As an aside, have you ever tried putting seventy candles on a Cadbury Flake Cake? It’s like trying to give a cat a bath (i.e. impossible and frankly not worth bothering with). Surely one of the greatest potential embarrassments ever (for both parties), it’s always a sobering moment when somebody offers you a seat on the train because you look old, rather than because you’re pregnant. Whether you need it or not, you know that you’ve crossed a line that can’t easily be stepped back over. We’ve all seen those exceptionally youthful-looking doctors and policemen and thought, “They must have just left school, they look like teenagers.” If they look young enough to be your grandchildren, that says more about you than it does about them! As long as they do their jobs competently, you shouldn’t have any issues with them. The Sopranos? Who needs it? The Wire? Pah! Mad Men? Mad what? You’ve never watched any of the prestige dramas and you don’t intend to. All you need are reruns of Only Fools And Horses and Open All Hours and you’re set. As far as you’re concerned, the Golden Age of television happened in the Seventies and Eighties, and anything newer than that will never measure up. If some of these signs sound familiar to you, then you are quite possibly getting older. But that need not necessarily be too bad a thing – as the supporting graphic outlines. More importantly as we get older we need to ensure that we’ve financially protected ourselves and our families. One way in which you could do this, is taking stock of what you need and going out and getting it. While this might sound expensive, you won’t really know what the costs entail until you’ve gone out and had a look. 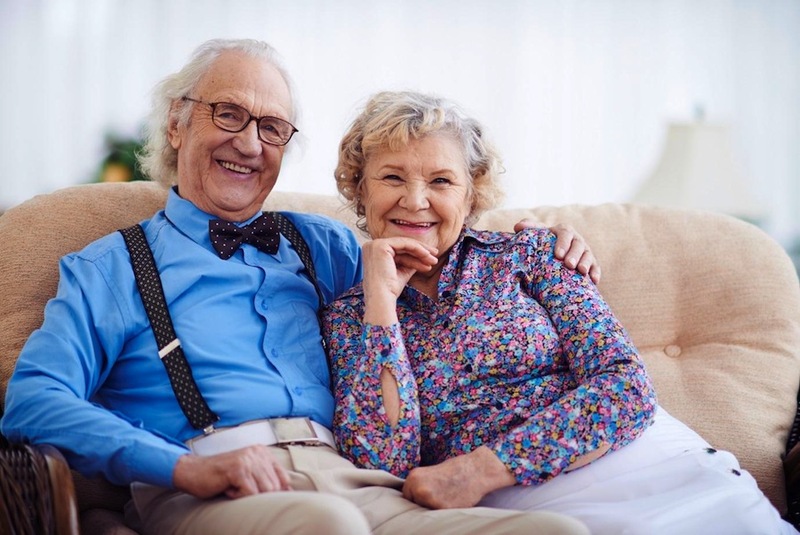 British Seniors just launched a Lifetime Payback Guarantee product, which is the first of its kind. This is a classic example of an affordable personal finance product that you could invest in, if you’ve been neglecting your personal finance investments, for however many years. Read more about the ground breaking Lifetime Payback Guarantee in the Express Personal Finance column. 5. Nope - never considered joining the National Trust. 8. Nope - never been offered a seat on public transport. To be fair though, I walk most places. 10. Nope - I loved The Sopranos and The Wire and as much as I liked Only Fools & Horses, I certainly have no desire to re-watch them. Well I am 71 next month I party when I can, learning to play the ukulele, Morris Dance & folks do not mention the word OLD when with me its band. Love your post. I scored 9 out of ten....fortunately I am not bald! If you score more than 5 out of 10 you definitely need to look at my blog.